Episode 34 is here and it is with the super insightful, Dr Anthony Hadj, a Plant Based GP from Melbourne, Australia! Since 2013, he has increasingly researched and integrated WholeFoods PlantBased medicine into his own life and now actively promotes the benefits of this diet to his patients on a daily basis. Inspired by Drs John McDougall, Neal Barnard and the late Nathan Pritikin, Anthony's hope is that everyone can learn to reap the benefits from delicious abundant wholesome foods and reduce the risk of chronic disease which is why he created the Living Longer Today health plan. In addition to his work as a doctor, he lectures on plant based health to medical students at Monash University and is a regular volunteer with Edgars' Mission, an animal sanctuary in Lancefiled, Victoria. In this episode Anthony gave me so many 'ah ha!' moments and really simplified how a low fat, whole food, plant-based diet helps our bodies to heal and why meat, eggs, dairy and processed foods harm our bodies in a way that even the most sceptical listener can comprehend. Thank you so much Anthony for coming on the show and thank you all for listening. 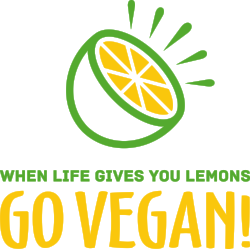 If you'd like to keep up to date with all the latest episodes coming out, you can head over to Facebook and LIKE the When Life Gives You Lemons, Go Vegan Facebook page where I share all the latest updates, guests, episodes and more!